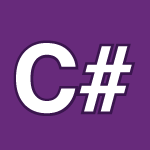 In this part of my C# tutorial we cover public, private, protected, constants, read-only fields, constructors, setters, getters, properties and more on static. I’m taking my time to make sure everyone completely understands object oriented programming in C#. We are getting near the end of the basic syntax and will start doing fun stuff soon. For best results print the code below and write out your own notes in your own words and use that as a cheat sheet.